Preces apraksts angļu valodā: Nutritive Proyou Revlon. Moisturizing Shampoo dry hair. Anti-hair loss treatment expert. Anti-Hair Loss Shampoo, specially formulated for hair with a tendency to fall, weakened and alopecia. 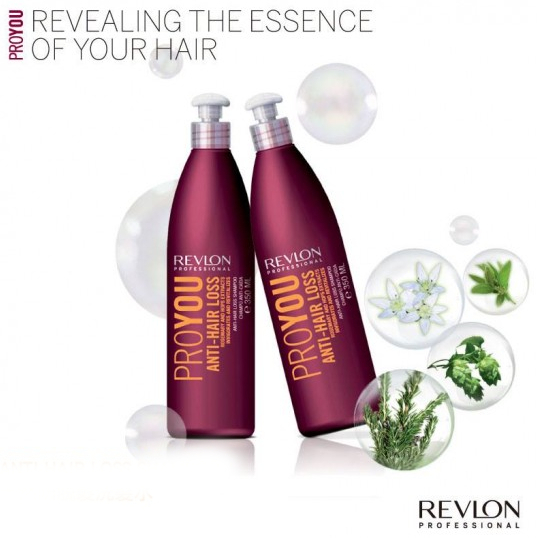 Gently clean respecting the balance of hair and scalp hair thanks to its delicate surfactant base. Action Anti-fall: Helps prolong the life of the hair and strengthen the hair shaft, promoting healthier and more vigorous hair growth.